The Earth warmed more slowly than the models forecast, meaning the planet has a slightly better chance of meeting the goals set out in the Paris climate agreement, including limiting global warming to 1.5C above pre-industrial levels. Scientists said previous models may have been “on the hot side”. He did this back in 2014. Looks like the Warmists are attempting to actually redo their models while still attempting to Blamestorm Mankind’s “carbon pollution.” They are still calling for “carbon budgets”, which would, of course, include carbon taxes and fees, more government control of citizens, economies, private entities, and the energy sector, and more loss of freedom coupled with a higher cost of living. But speaking to The Times he said: “When the facts change, I change my mind, as [John Maynard] Keynes said. Exactly. The facts have not changed. 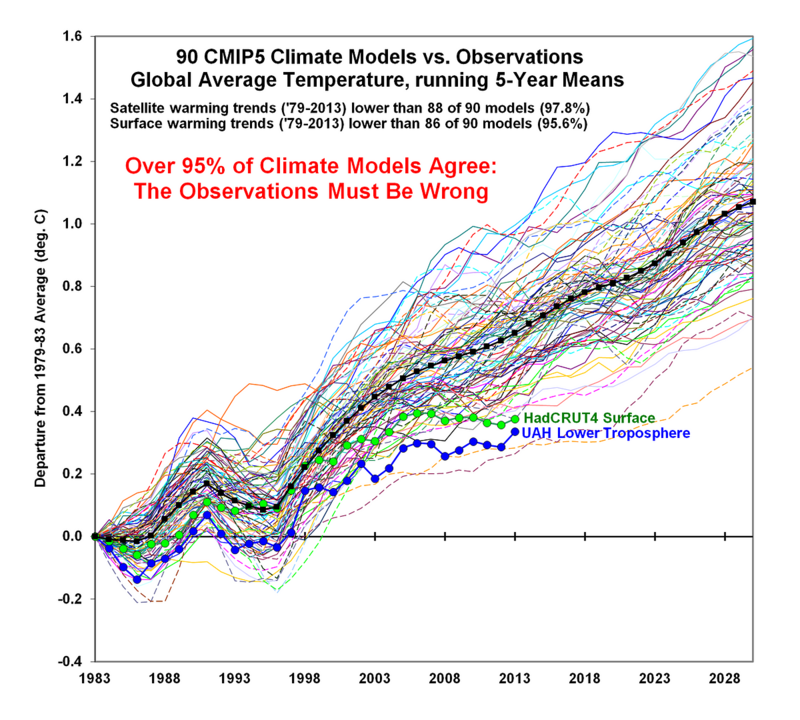 The facts are the actual observations (well, the kinda do change, as the Warmists adjust, massage, smooth, and simply make up the data), and the observations disagree with the computer models, as Dr. Spencer noted. A revealing slip of the mask, no? 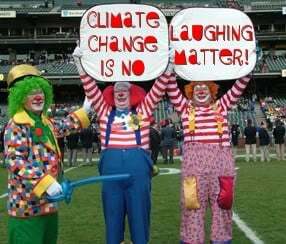 And what a disappointment that the climatistas will still have to put up with elections and the people and such. Authoritarianism is so much more fun. This is pretty much a vindication of what Skeptics have been saying for well over a decade, and exposes what I’ve been writing and saying for a long time: this is fake science designed to prop up Progressive (nice Fascist) ideology and policy pushes.